During World War I, every soldier of the Canadian Expeditionary Force wore the same khaki uniform. This similitude between units made it difficult for officers to spot their men on the battlefield. Distinguishing unit patches, also called ”battle patches” were especially useful for this reason since insignia such as cap badges or collar dogs were hard to see from far away. Each division had a different colour square; The 1st Division wore red, the 2nd Division wore navy blue, the 3rd Division wore light blue and the 4th Division wore green. Within the divisions, each battalion had a different symbol. 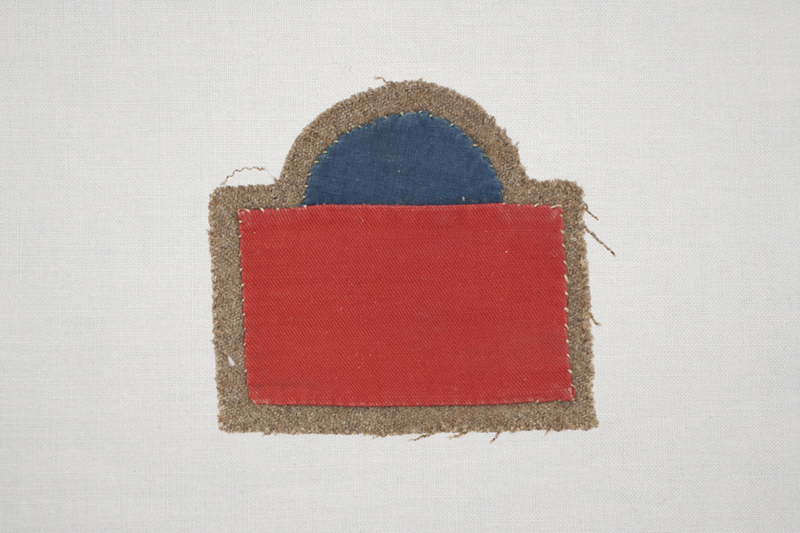 Men from the 14th Battalion [The Royal Montreal Regiment] would sew this patch on their shoulders.